This Nature’s Kitchen infused joint combines flower with a distillate. This makes for a hard hit with a smooth finish. Having a joint handy is a must for most smokers these days; both medically and recreationally. I was given the opportunity to test out one of Nature’s Kitchen’s new infused joints. This is cool because Nature’s Kitchen already puts out its own edibles and concentrates, so I was excited to try out this new product. 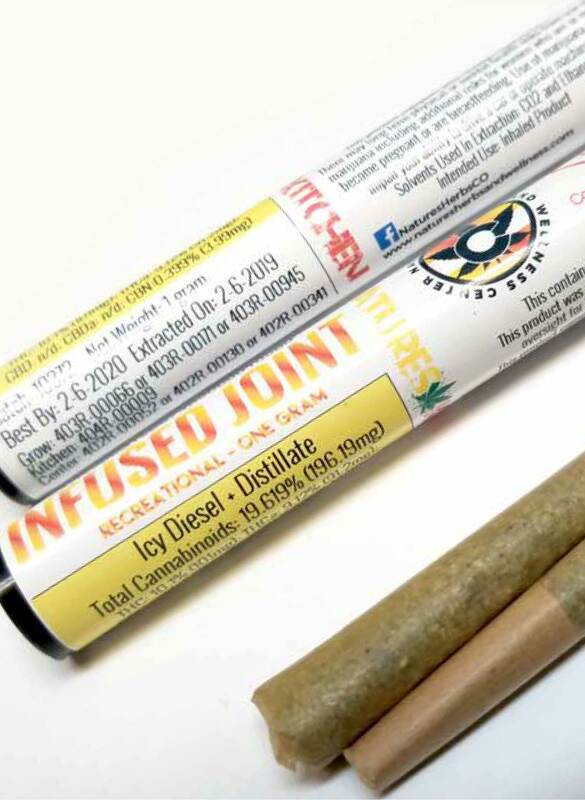 The joint is 1 gram in weight, and it is Violator Kush (Indica) rolled in a distillate (a distillate is a pure cannabis extraction). The joint is average size and burns evenly as I smoke. I smoke it with friends because I am interested in their reactions to the product. They agree that the joint tastes good and we all agree that the distillate adds more of a high. This new product from Nature’s Kitchen is a nice way to combine flower with concentrates to create a new high and fresh taste.